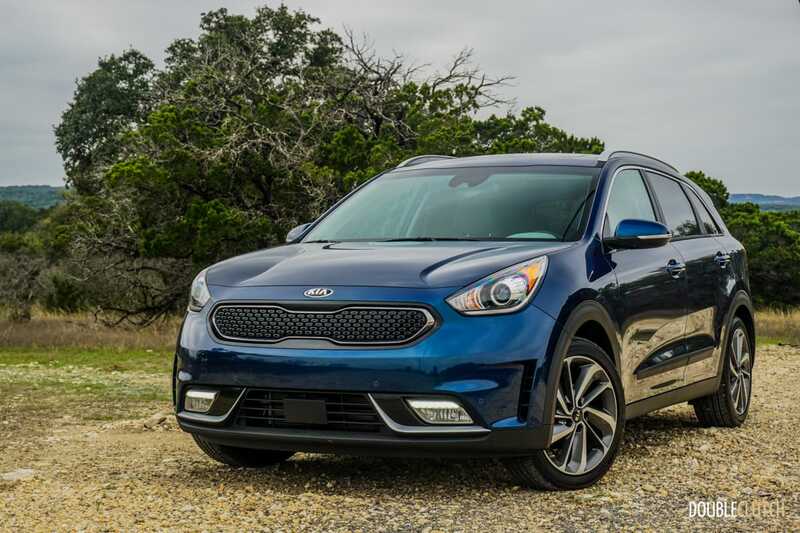 The all-new Niro is a big step for an automaker that’s quickly climbing up in the ranks. 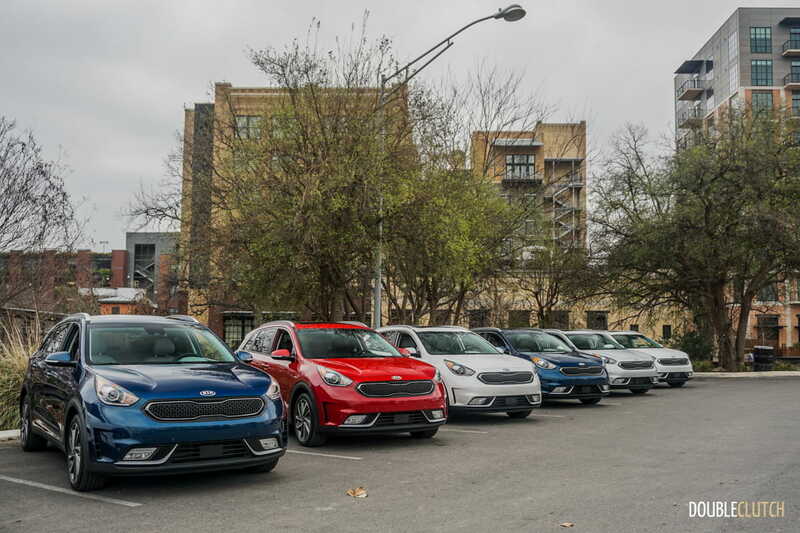 SAN ANTONIO, TEXAS – The year 2017 marks a new beginning for the Kia brand, redefining many factors that define the brand. 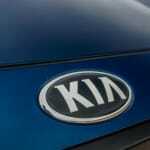 The first is the forthcoming 2018 Kia Stinger that debuted at NAIAS in Detroit, a luxury sports sedan that could be Kia’s first serious competitor to the German players. 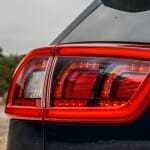 The second is perhaps less exciting from a purist standpoint, but far more relevant to the everyday buyer. We traveled to San Antonio, Texas for a first drive of the 2017 Kia Niro, a hybrid crossover that will play against some already-established models in the green vehicle segment. 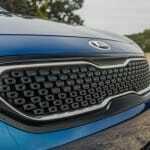 Kia has already offered the Optima midsized sedan in hybrid form for a while, and we have reviewed both generations. 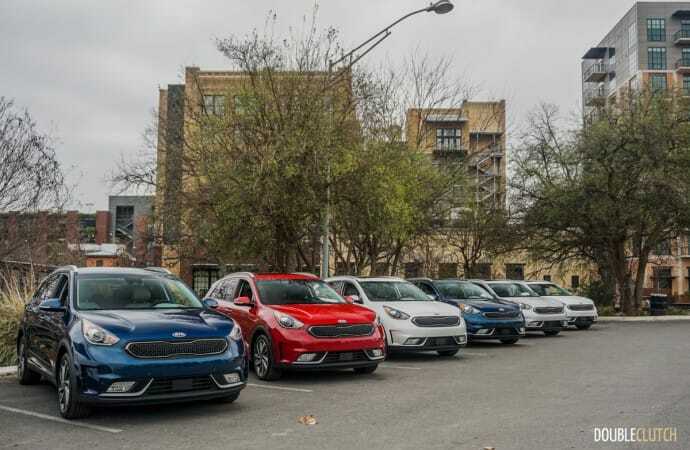 The difference between the Optima and the Niro is that one is a midsized sedan that has been adapted to the hybrid systems, whereas the Niro has been designed from the ground up as a hybrid, engineered to fight against the bestselling Toyota Prius (reviewed here) and even the Chevrolet Volt. 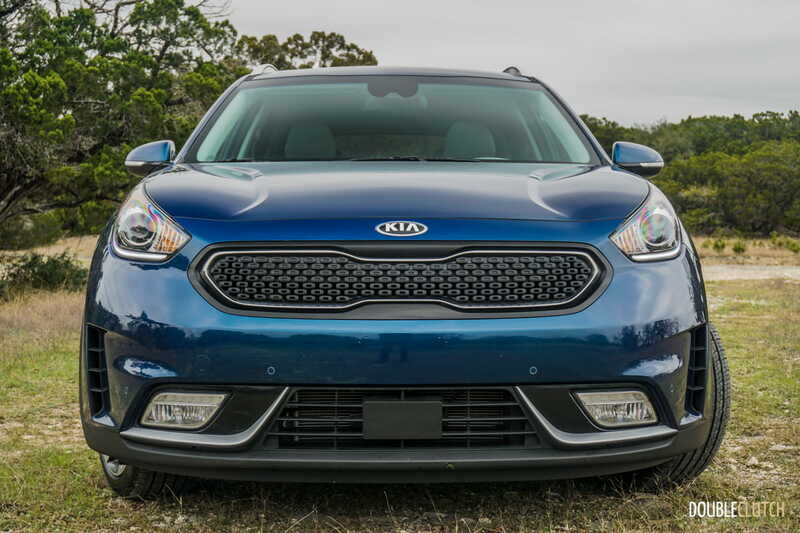 Unlike the competitors though, the Niro doesn’t shout out at you that it’s saving the environment with its design. 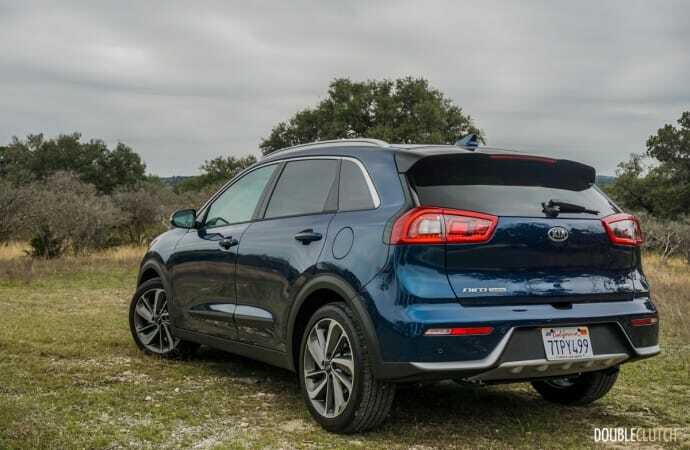 As you can see in the gallery of photos below, it just appears to be another attractive crossover, with a conventional two-box design and a design language reflective of Kia’s current lineup. Aggressive black cladding along the wheel wells and side skirts add to the rugged looks of the Niro. 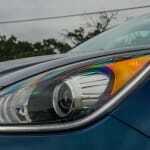 Projector-beam headlights are standard (halogen), though HIDs are optional and look great at night. 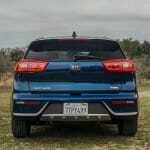 There’s a rear diffuser that finishes off the sporty look; it’s functional as well, contributing to the drag coefficient. 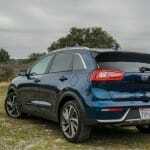 Powering the Niro is Kia’s 1.6L GDI inline four-cylinder engine, paired to an electric motor. 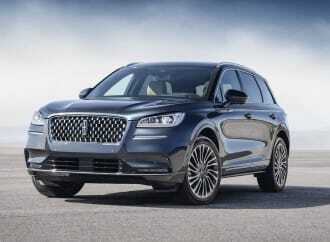 The four-banger has direct-injection and is good 104 horsepower on its own. 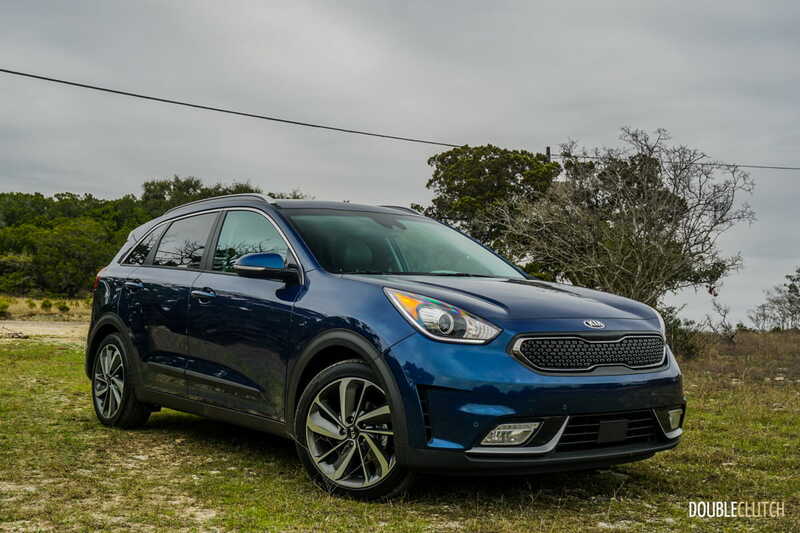 Combined ratings for the NIro between the GDI and the hybrid system are 139 horsepower (at 5,700RPM) and 195 lb-ft of torque (peaking between 1,000 and 2,400RPM). 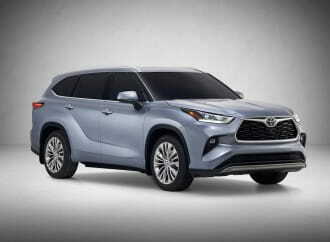 The assist from the electric motor helps with off-the-line torque and relatively smooth power delivery right through the power band. It’s not fast, nor will it accelerate as quickly as a full EV (Kia’s own Soul EV comes to mind), but the Niro’s demeanour can be best described as “comfortable”. 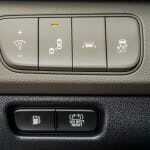 There is a Sport mode which, when enables, delivers sharper throttle response and holds gears longer. 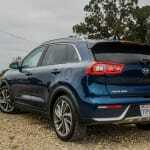 Although many hybrids get away with CVT transmissions, Kia has managed to keep maximum efficiency while maintaining a six-speed dual-clutch automatic transmission. 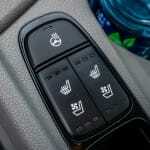 This is not the same dual-clutch gearbox we have seen in other models, like the Optima ECO (reviewed here). 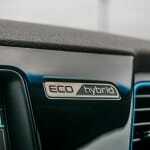 It shifts firmly and confidently, but it’s not as fast as a performance DCT like Audi’s S-tronic. 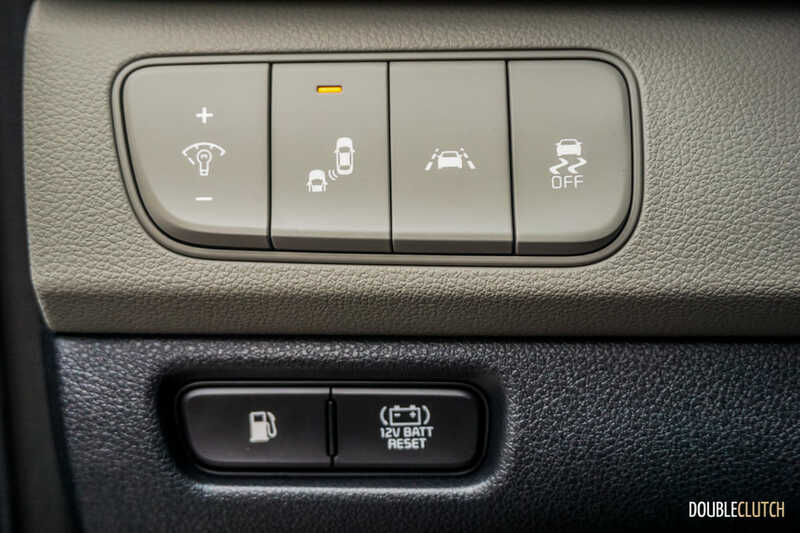 There is a manual shift mode that can be used to either give the driver more engagement when combined with the Sport mode, and also can short shift when playing the efficiency game the Niro is born to do. 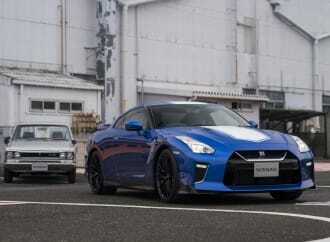 Refinement is adequate, but we found the gasoline engine to be a bit noisier than expected. 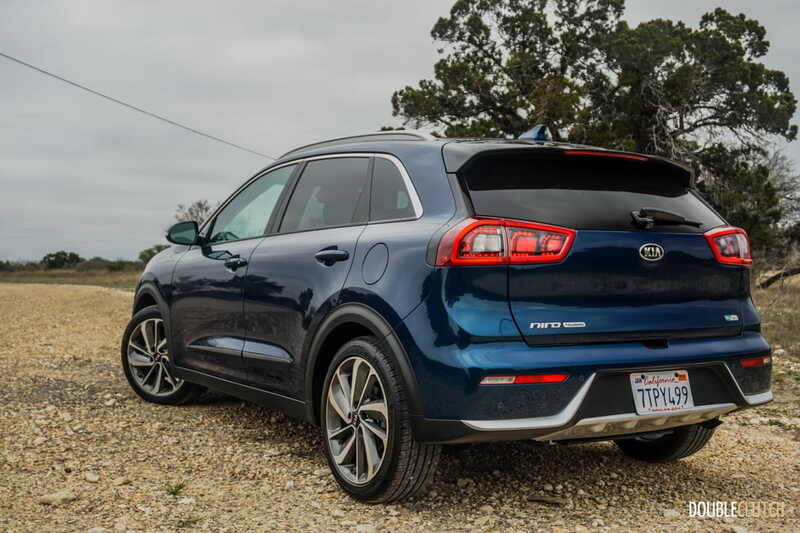 As a result, the Niro isn’t as quiet as, say, a Prius, but is still notably quieter than the Sportage. Ride quality is very, very good, and the ~3200lb. 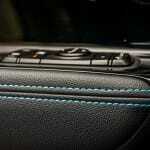 (trim-dependent) crossover holds its own with no wafting or jitteriness. 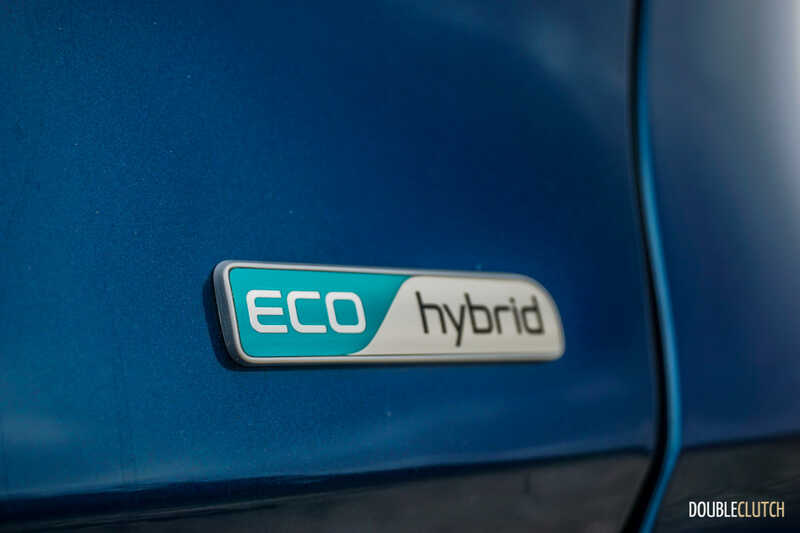 The transition between gasoline and electric motors is very, very seamless and right up there with the Prius family (reviewed here). 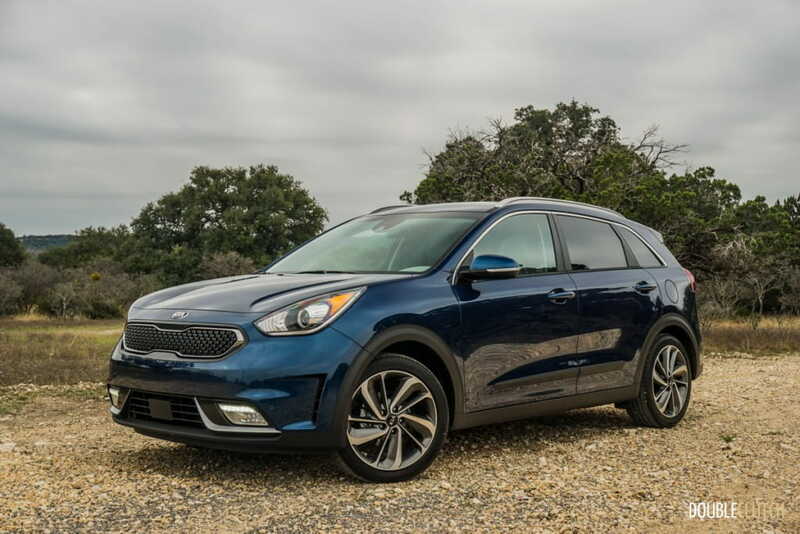 The Niro’s cabin isn’t as isolated as a Prius, with noticeable road and tire noise. 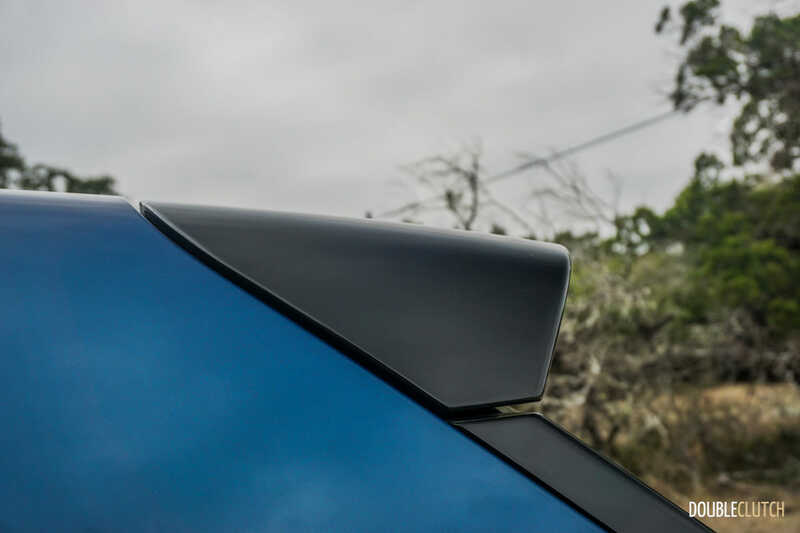 The impressive drag coefficient of 0.29 is accomplished thanks to the designers maximizing aerodynamics and minimizing weight. 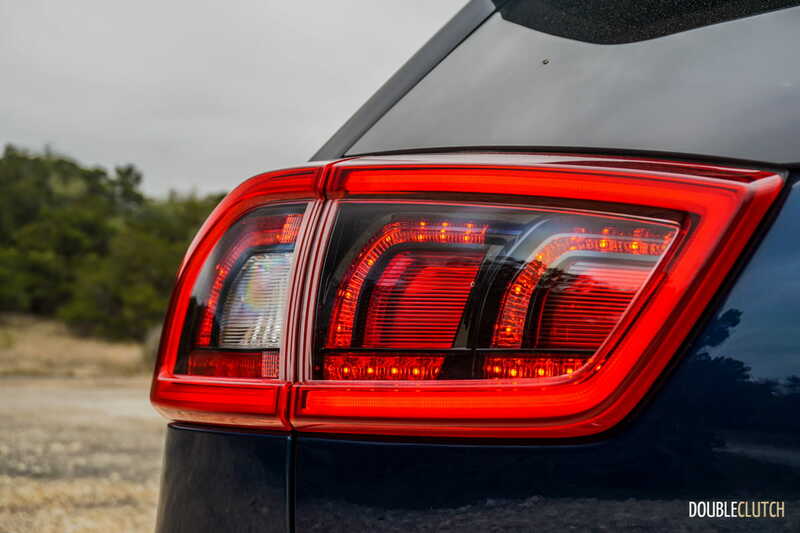 A functional rear decklid spoiler, active air shutters, and air curtains further minimize drag. 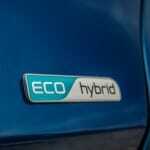 As with any other dedicated hybrid, fuel economy will vary significantly depending on a series of variables. 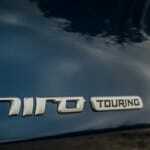 On our initial drive, we averaged an overall 5.3L/100km over our test over the suggested route. 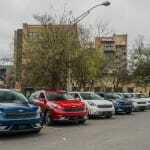 Those who have more of an urban commute with a conservative right foot will see better overall economy than highway haulers who drive well over the posted speed limits. 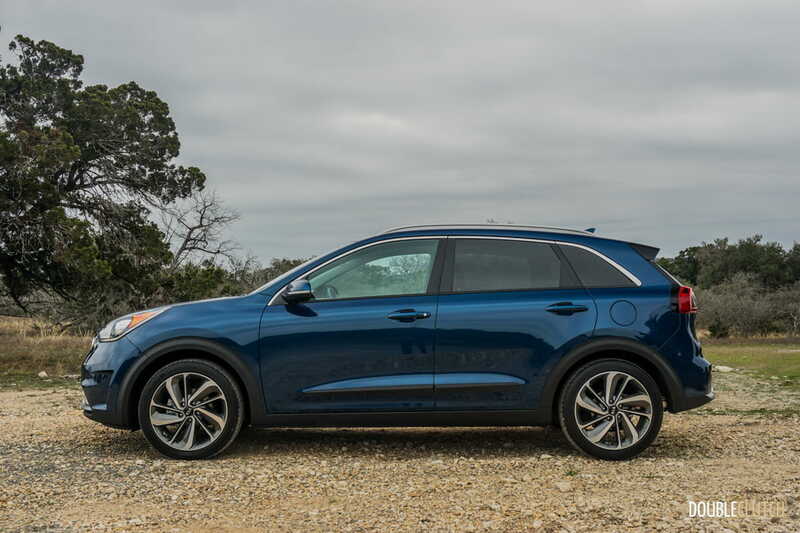 Kia suggests the typical Niro buyer will see numbers of 4.5L/100km city, 4.8L/100km highway and 4.7L/100km combined for the base L model. 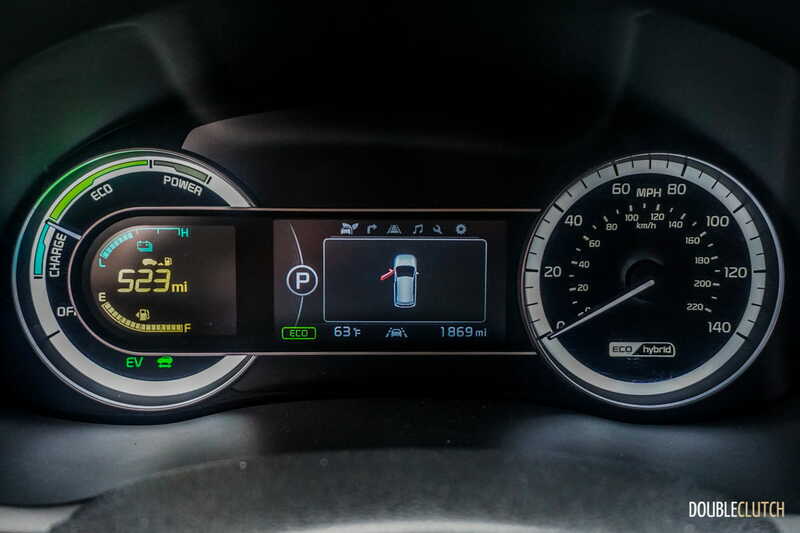 As weight increases on the higher trims (SX is 600lb heavier), fuel economy suffers a little bit. 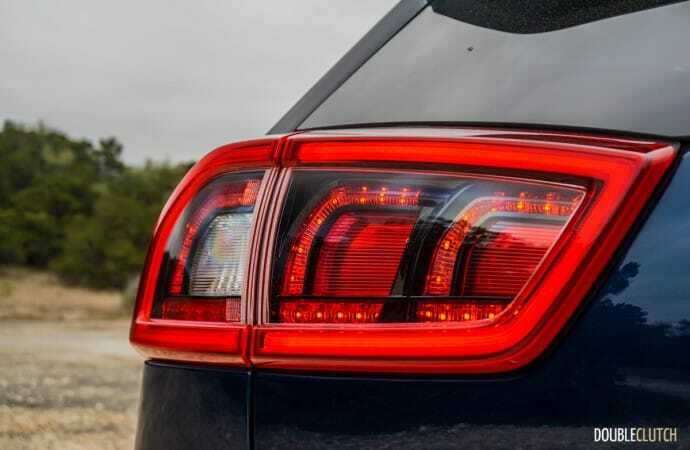 The SX is rated at 5.1, 5.8, and 5.4L/100km, combined. 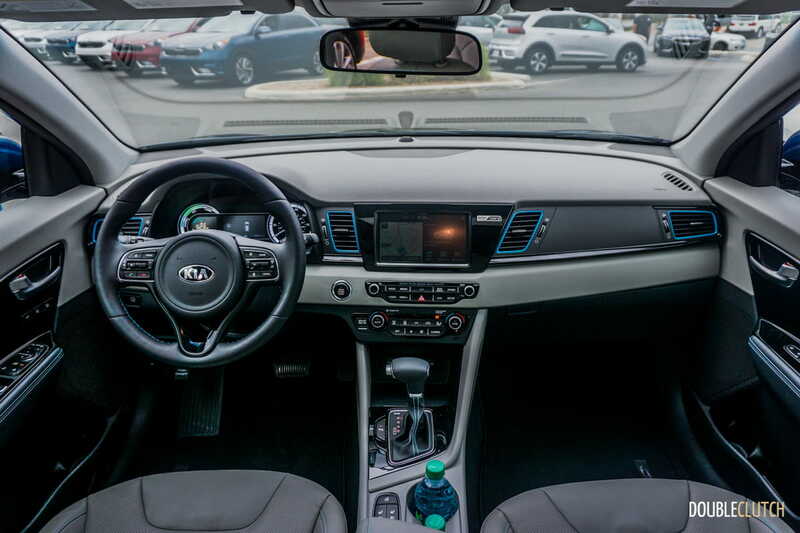 The interior of the Niro would not lead you to believe that this is a hybrid or anything vastly different from either the Sportage or the Sorento. 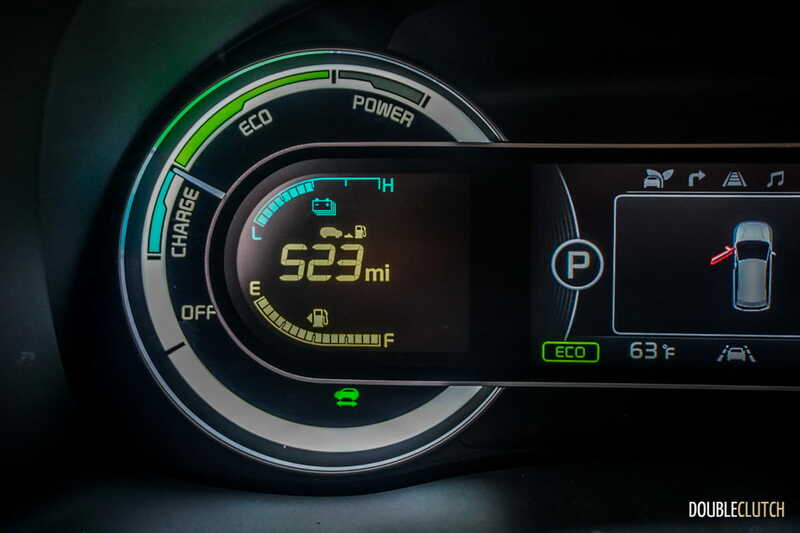 The only dead giveaway is in the instrument cluster, where the Niro has “Charge”, “Eco”, and “Power” modes in lieu of a conventional tachometer. 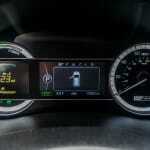 The instrument cluster is a 4.2” TFT unit with all pertinent information clearly displayed, even in direct sunlight. 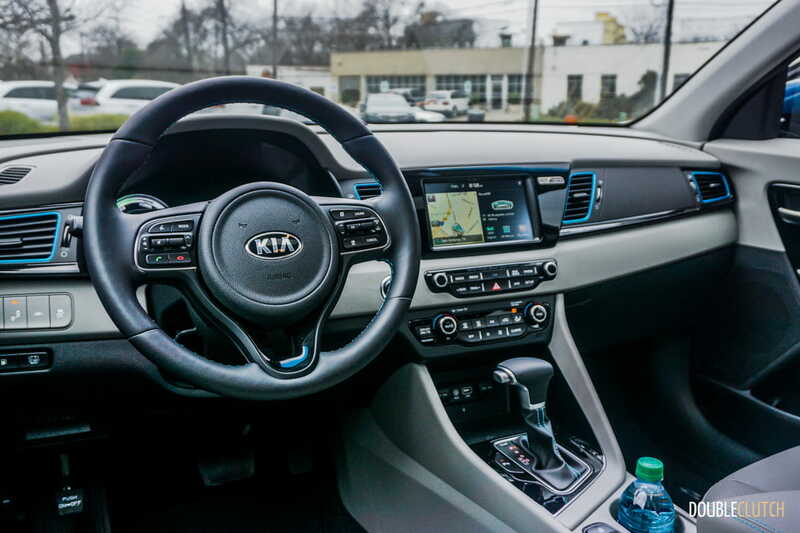 The ergonomics are on point, with an excellent driving position and great sightlines all around. Fit and finish is good as well, with no real cheap bits or poor panel fitment. 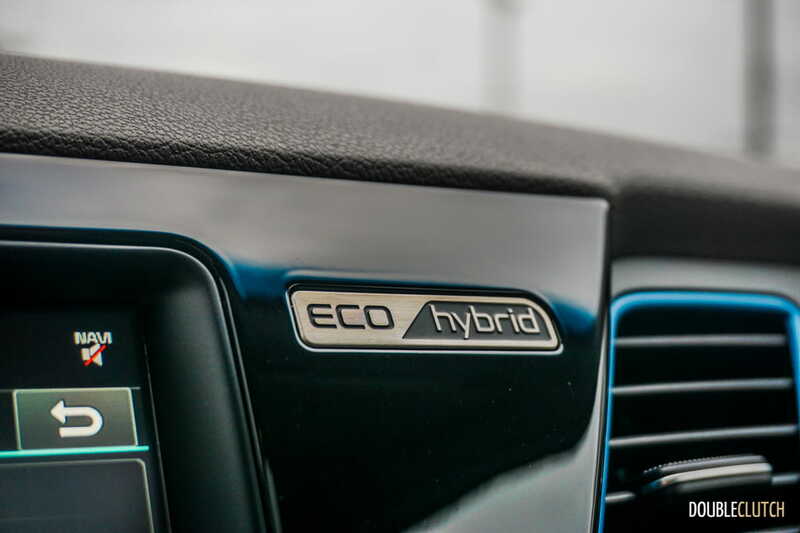 However, there are many plastics used throughout the cabin rather than wood or leather – this is in favour of weight savings and keeping costs down. 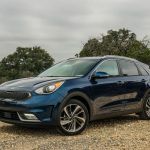 The Kia UVO infotainment system is easy to use, and offers Apple CarPlay and Android Auto, allowing the Niro to sit at the top of the pack for connectivity. 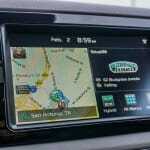 Models with factory navigation get a slightly larger touchscreen. 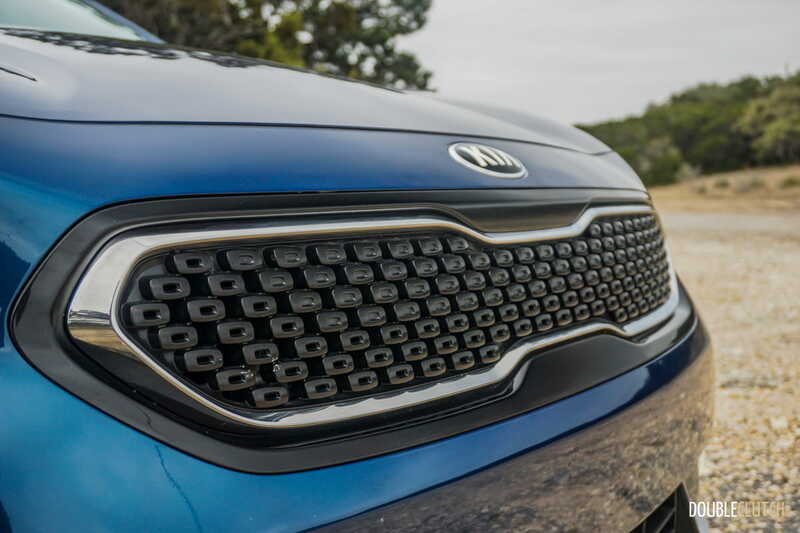 Both front seats are heated and ventilated, which is quite rare in this segment – Kia has been good about offering ventilated seats as far down in the lineup as the Forté. Unfortunately, the sunroof isn’t panoramic and we found it to be quite small. 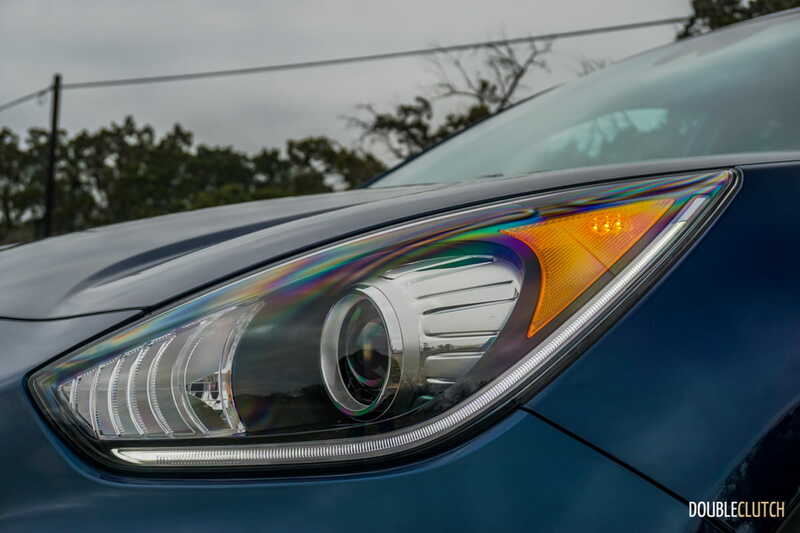 New tech on-board the Niro includes lane change assist, rear cross-traffic alert, blind-spot detection, and smart cruise control. 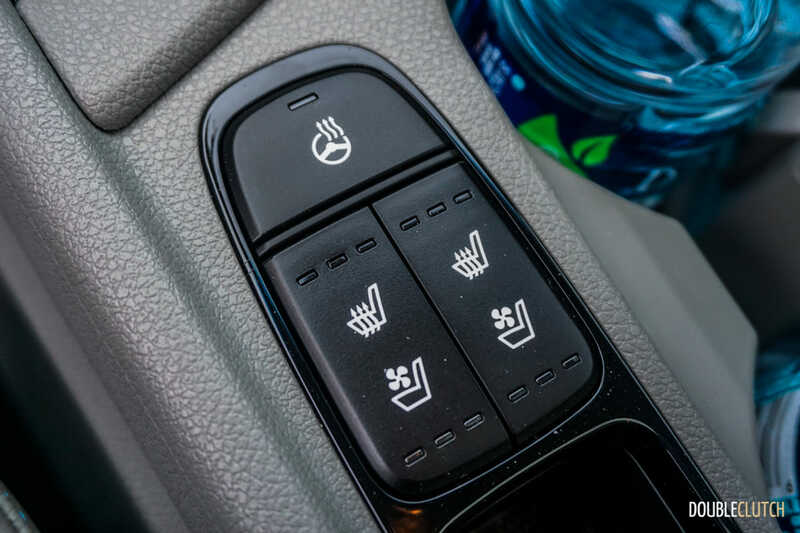 Most of these start at either the EX, and features that include automatic braking and the “smartest” gizmos such as AEB (autonomous emergency braking) are restricted to the top-trim SX. 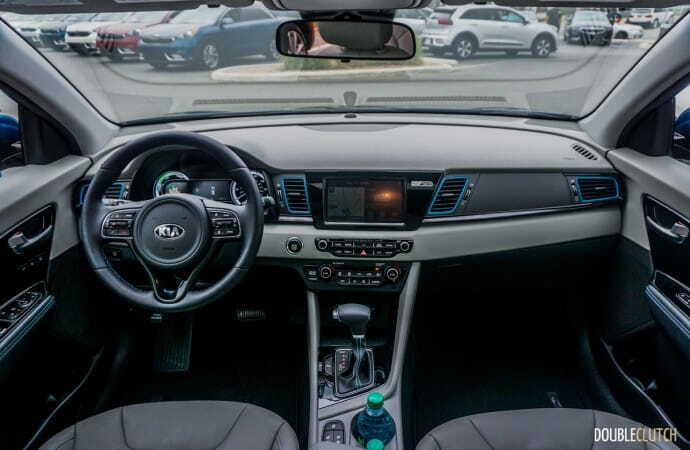 All models get front and rear park assist, a rear-view camera, aluminum pedals, automatic climate control, and much, much more. 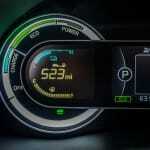 In true hybrid fashion, there is a 1.56kWh lithium-ion battery pack, though it’s smaller than you’d think. 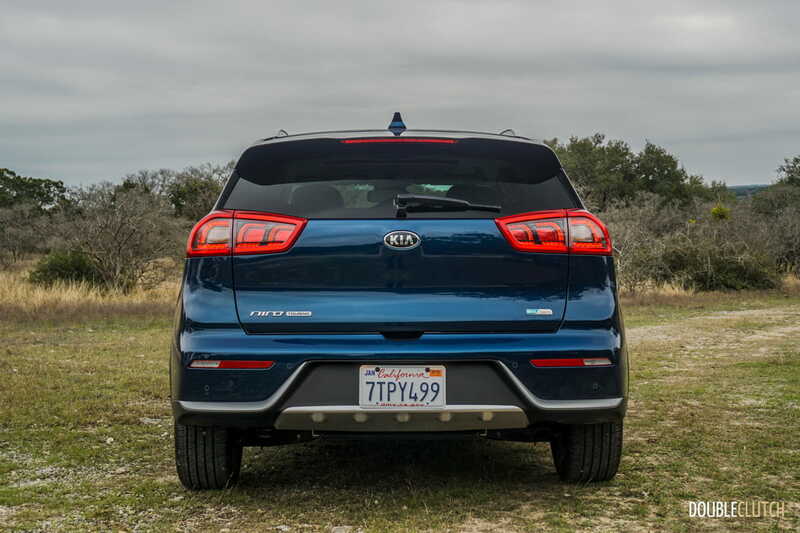 It doesn’t cut into the Niro’s 19.4 cubic feet of cargo space (54.5 with the rear seats folded), because it’s located below the rear seat. 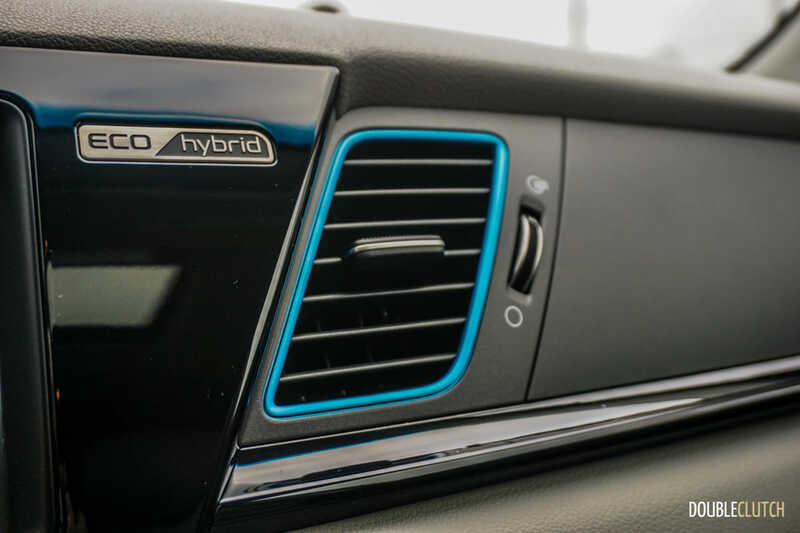 The Optima Hybrid doesn’t get this luxury thanks to the hybrid systems being added after the fact, which is a shame, because one of the Niro’s strongest suits is space management. Front and rear legroom is decent enough, though six-footers may suffer in the rear. 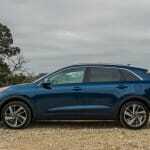 Headroom is also very good both front and rear; I had space to spare above my head even on models equipped with a sunroof. 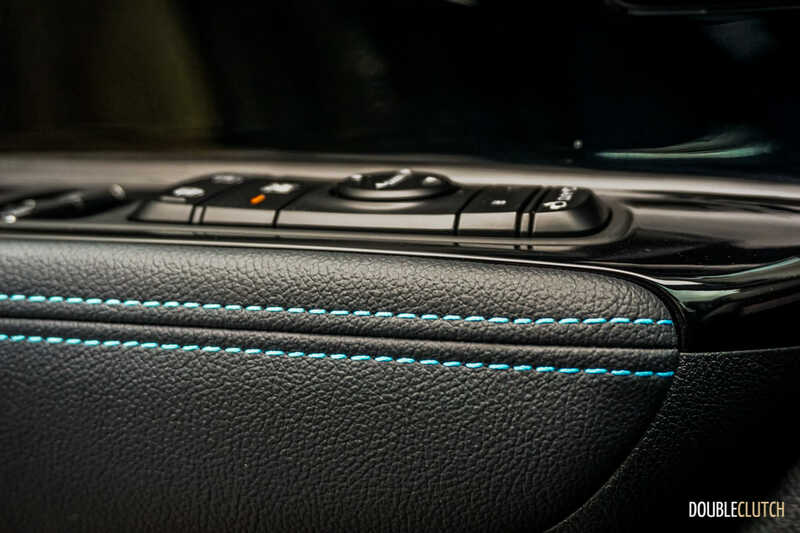 Overall interior volume of the Niro is very similar to the Sportage. 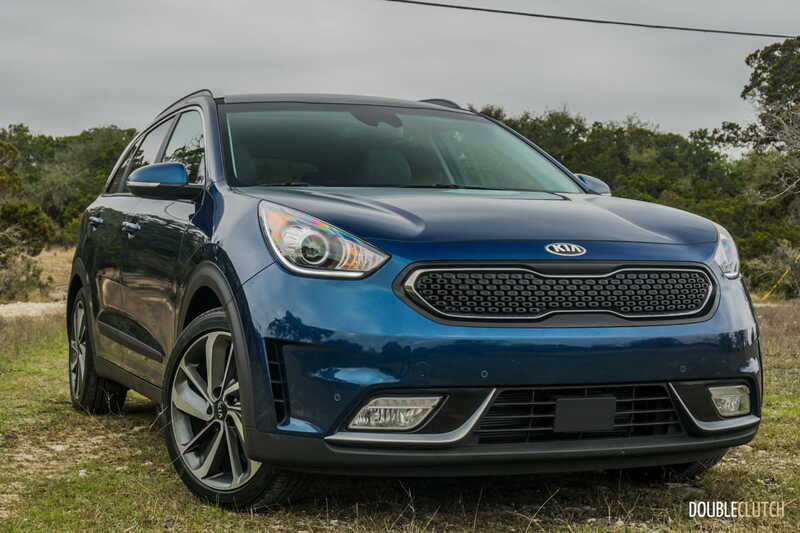 Pricing for the Niro starts at $24,995 for the base L, which comes standard with the aforementioned standard features. 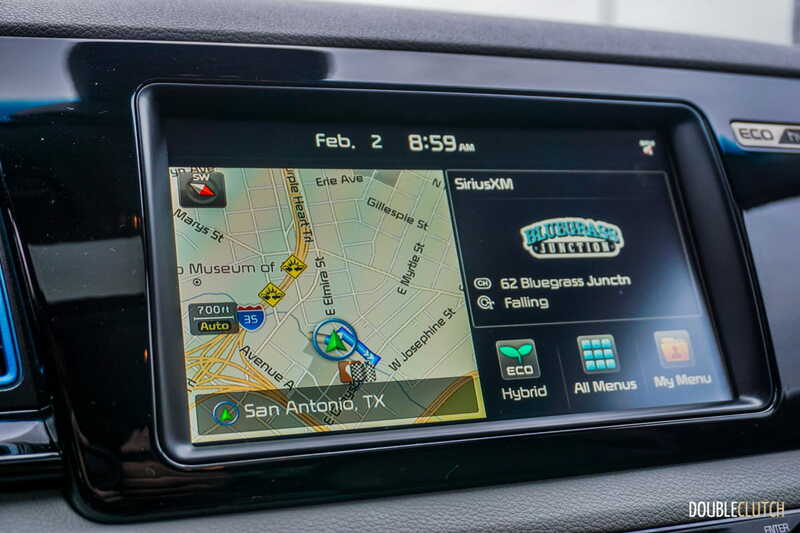 It also includes Apple CarPlay, Android Auto, 16” alloy wheels, adaptive cruise control, and more. 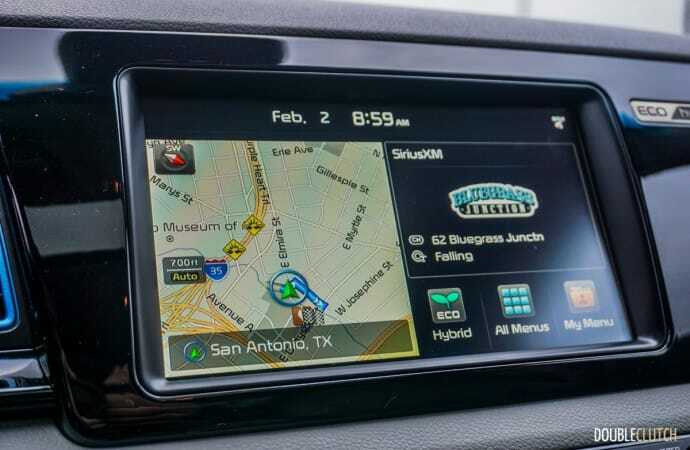 The mid-level EX is the one to have, adding a ton of premium kit (push button start, wireless charging, more upscale interior trim, roof rack) at a great value. 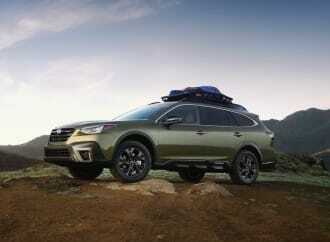 Pricing for the EX and SX (known as the Touring in the United States) has not been released in Canada just yet. 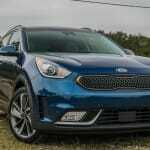 Interestingly enough, the Niro is the only hybrid vehicle in its segment at this time. 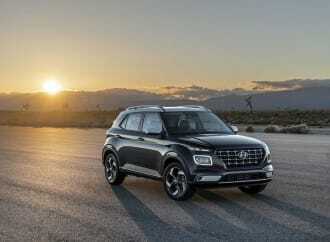 As a subcompact, it’s approximately the same size as the Honda HR-V (reviewed here), Mazda CX-3, and forthcoming Toyota CH-R. 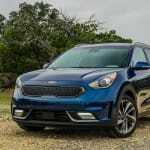 In a highly populated subcompact crossover market, the Niro’s biggest restriction is the lack of all-wheel-drive, which has been sacrificed in favour of efficiency and space management with the highly advanced hybrid features. What does this mean for Canadians? 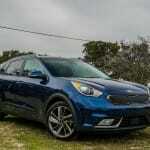 A solid set of winter tires and stability control should render the Niro a good performer in winter conditions. 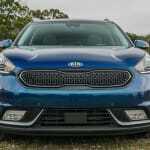 The 2017 Kia Niro is a big step for an automaker that’s quickly climbing up in the ranks of the North American automotive market. 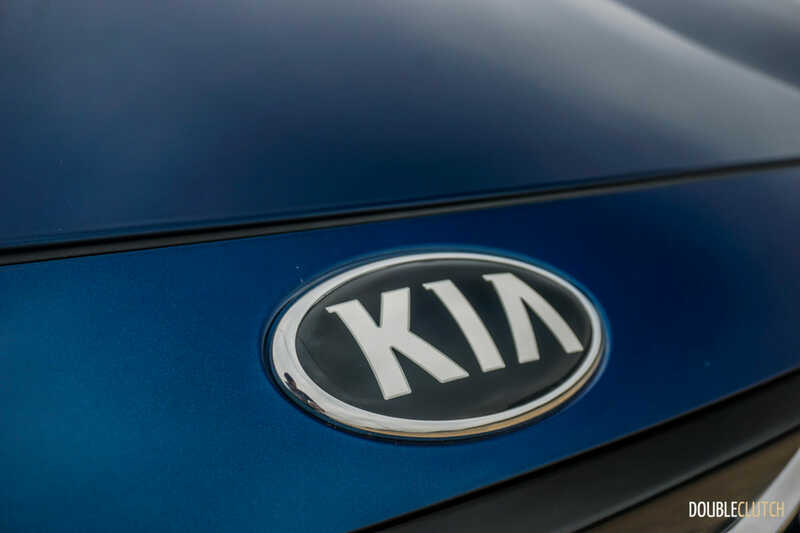 Previously known for nothing more than cheap transportation with no frills, Kia now offers something for almost everybody, from the subcompact Rio to the fully electric Soul EV, all the way up to the flagship K900 luxury sedan (reviewed here). 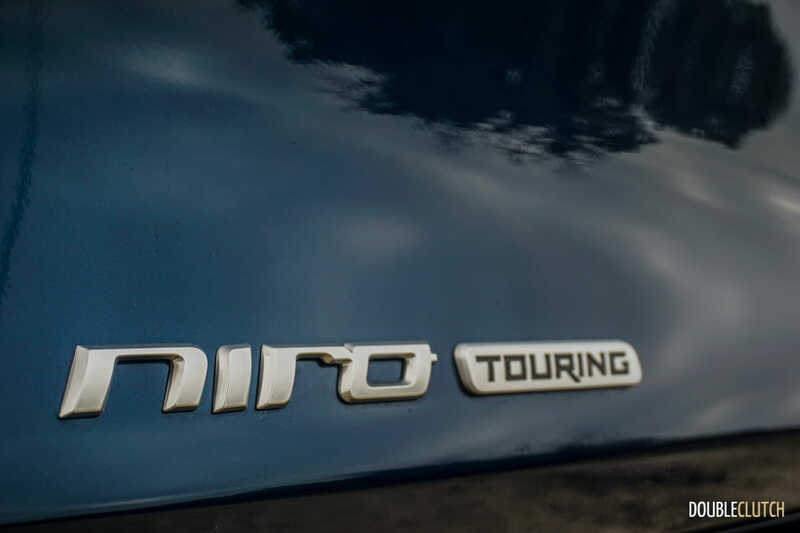 The Niro is a dedicated hybrid crossover that offers serious competition to the likes of the Toyota Prius v (reviewed here) and we’re excited to conduct a more comprehensive and technical review in the coming months.